RTH taught photography courses while we were in Japan, and often took his classes out to wander around. 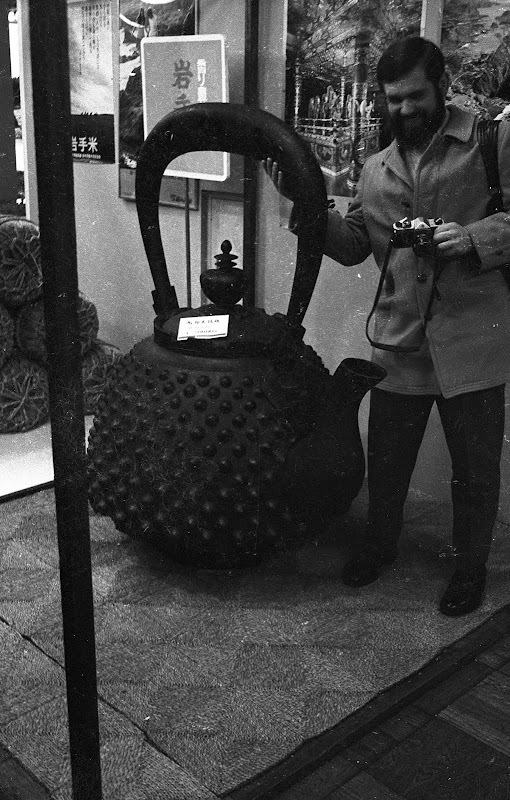 On one trip, they saw this giant teapot in a store window. I don't know who is in the picture.